Save the date for MIIT on Friday May 10, 2019! Check out the Program from MIIT 2018 here. Implementation of a completely new EMR can be a daunting, yet exciting, project for any hospital and specifically the Medical Imaging Department. Over the years, the reliance on the relationship between PACS, Voice Recognition, technologist and Radiologist workflows, clinician workflows and the EMR have become complex and interdependent. At the same time, we are approaching an era where EMRs have evolved tremendously and the opportunity to upgrade or replace is upon many organizations. This session will explore the lessons learned from an EMR replacement and the opportunities gained for integration and workflow efficiency. The presentation will provide an overview of ClinicalConnect – the regional clinical viewer in south west Ontario – with a focus on the new user interface enhancements, future integrations of data from key provincial repositories, including images from the Diagnostic Imaging (DI) Common Service, and how data from ClinicalConnect is being integrated with Sunnybrook Health Sciences’ MyChart Patient Portal; MyChart will then be made available to patients across South West Ontario. Access to, and integration of, imaging records from across systems and organizations is critical to diagnosis and care. One approach to simplifying this challenge is to have referring physician organizations place orders for their patients' imaging exams with your health system. Johns Hopkins Health System, a leading provider based in the Baltimore, MD area, has implemented an integrated, enterprise-wide EMR and imaging IT system. 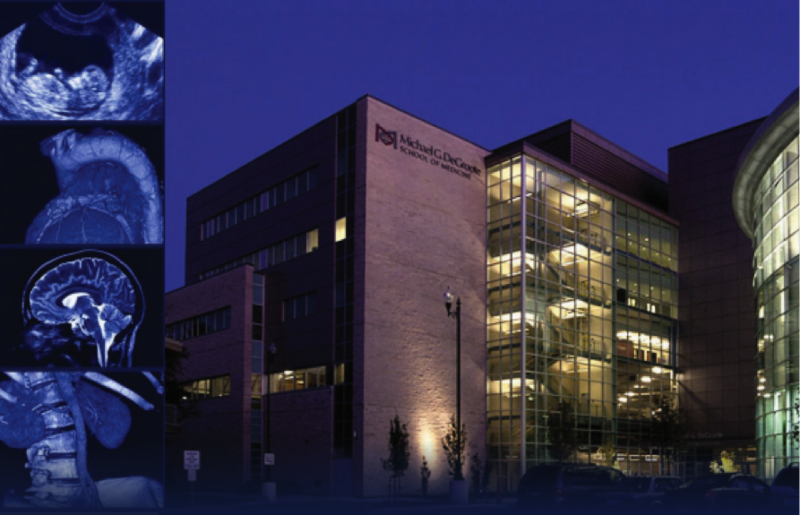 To further expand its network of external referring physicians and increase its outpatient exam volume, a strategic Radiology Outreach program has been launched. In this talk, we will explore how IT systems to broker data between external and internal systems, combined with the right financial and communication strategy, can build a vibrant imaging service network that is valued by the health provider, referring physicians, and patients. For years, informatics and quality (performance) improvement have been studied and performed in separate silos. Often, informaticists are brought into QI projects after irreparable planning errors are made. Instead, QI and Informatics should be thought of as “one in the same” – and teams aimed at performing improvement in healthcare institutions should be composed of individuals from both fields. Engineers who build self-driving cars refer to them as highly automated vehicles. Similarly, sophisticated computer algorithms consuming large amounts of newly available digital data will drive our evolution to highly automated radiology, where human-machine symbiosis will enable much more efficient and useful radiology. We will explore how this will look in the near and far-off future, how to take advantage of existing machine learning algorithms and data analytics, and how to prepare for a future of cascades of decision-making machines. Watson Health Imaging will present the application of Artificial Intelligence tools to enhance workflows in the imaging domain. While imaging focused, these innovations and application of AI, now and in the future, will redefine the way clinicians interact with sources of information to aid in the decision making processes. Glenn will use experiential examples in his presentation to illustrate the operational challenges that AI have the potential to assist a clinician in lowering the administrative tasks in the current healthcare environment. The presentation will introduce recent developments from three standards groups affecting medical imaging. Topics will include modernizing Image Pre-fetching, Encounter-based Imaging, Multi-energy CT, Protocol Management, and Quantitative Imaging Biomarkers. As imaging IT systems, such as Diagnostic Imaging Repositories (DIR), enable long-term image archiving for, and discovery and access by, participating member organizations, health providers are evaluating what other system consolidations and solution optimizations are possible. This talk will explore current options for sharing PACS, as well as other related applications, among health facilities to gain efficiencies. It will also provide an overview of common solution architectures and solution provider models in use in other jurisdictions and organizations, such as large U.S. health systems.